Famous Real Madrid player, Gareth Bale has opened up on his relationship with former teammate, Cristiano Ronaldo. 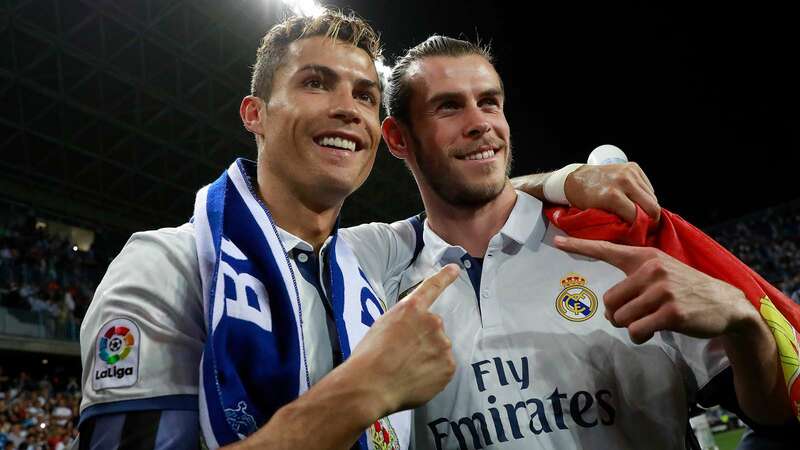 According to Goal, Bale has moved to rubbish any suggestion that there was a rift between himself and Cristiano Ronaldo during the Portuguese superstar’s time at Real Madrid. Two global icons were acquired by the Blancos for record-breaking transfer fees. Big things were expected of them at the Santiago Bernabeu, but both had to fight for their share of the spotlight. Bale often found himself operating in the shadow of an illustrious colleague, and has faced accusations of failing to step out of that position since seeing the 34-year-old head to Juventus. The Wales international is, however, adamant that there was never any bad blood between two men eager to do their best on an individual and collective level. Bale told BT Sport’s ‘What I Wore’: “Cristiano is an incredible player, I thoroughly enjoyed playing with him. While Ronaldo departed Madrid after nine memorable seasons, Bale is currently taking in a sixth with the Blancos. During that time he has helped to land the Liga title, four Champions League crowns and recorded over 100 goals. Questions continue to be asked of his ongoing presence, amid form and fitness concerns, but the 29-year-old is convinced that he made the right decision in leaving Tottenham for Spain in 2013. He said of that switch: “I appreciated everything Tottenham had done for me but I think they did understand at the time that when such a big club comes in for you like Real Madrid it is difficult to turn them down.